Like its companion room, the Dr. Magniss, Miss Eleanor's room offers a queen size bed and French doors to the covered porch. It is a great place from which to watch sunsets or to lounge in wicker rockers. The room has a fireplace and a queen size bed. 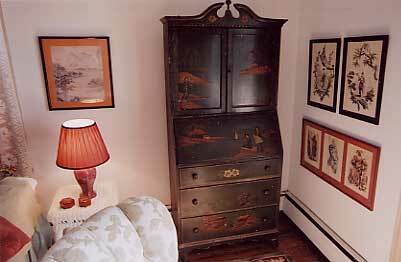 A key feature of the room is the oriental highboy, part of the home's original furnishings. Your private bath offers a combination tub/shower and twin dressing mirrors for that last minute check before heading off to dinner. 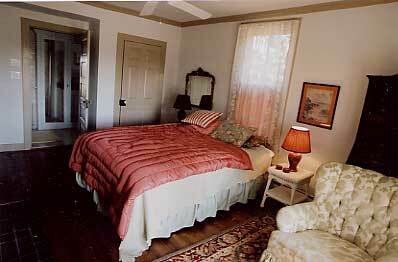 Like its companion room, Miss Eleanor's Room offers easy access for guests wishing for first floor convenience.